Competitive employee benefits packages are essential for attracting and retaining quality employees, but continuing to offer them can be tough with the rising cost of health care squeezing an already tight budget. Cutting benefits may seem like a necessary reality for some companies, but could have serious long-term consequences. Retaining employees throughout these rocky economic times is vital so that your company remains competitive and positioned favorably in its industry. By implementing a strategic benefit plan, an employer will find ways to contain or even cut costs while still offering competitive benefits. A strategic benefit plan is a three-to-five-year plan that outlines goals, strategies and action plans for your employee benefits program. 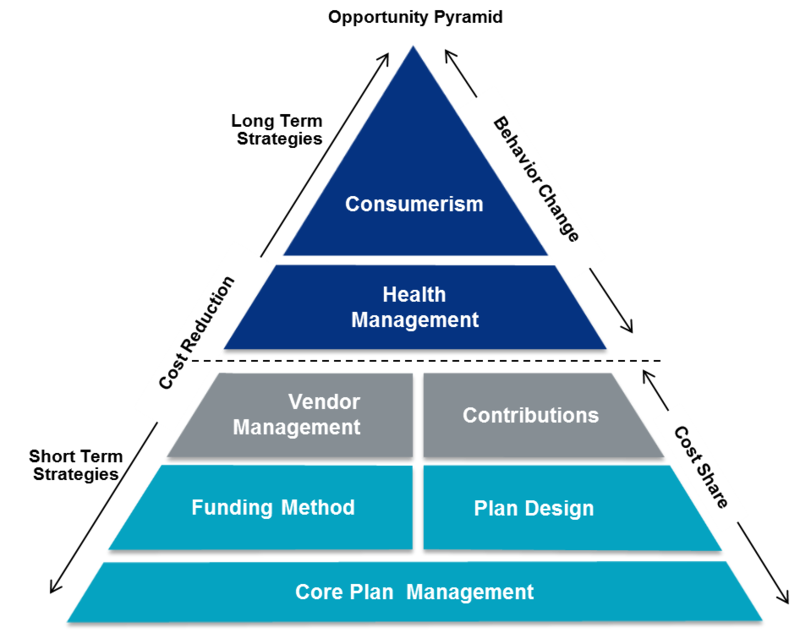 In creating the plan, MMA will work with you to strategically analyze ways to contain costs through various plan improvements. This approach is a methodical and logical long-term approach to benefit planning, as opposed to making decisions year to year, and will provide a well-thought-out road map for your future benefits. At the company level, creating a strategic benefit plan will help greatly with internal budget planning and can also be incorporated into your corporate strategic plan. This will bring HR and employee benefits into larger strategic conversations and ensure that a competitive benefits package continues to be available. Marsh & McLennan Agency's proprietary Strategic Forecast Model provides employers with the necessary information to make strategic decisions regarding medical, prescription drug, dental and vision plans. This modeling tools delivers the financial metrics to help identify where and how you can save money.